We love the single hanging pendant lightbulb. 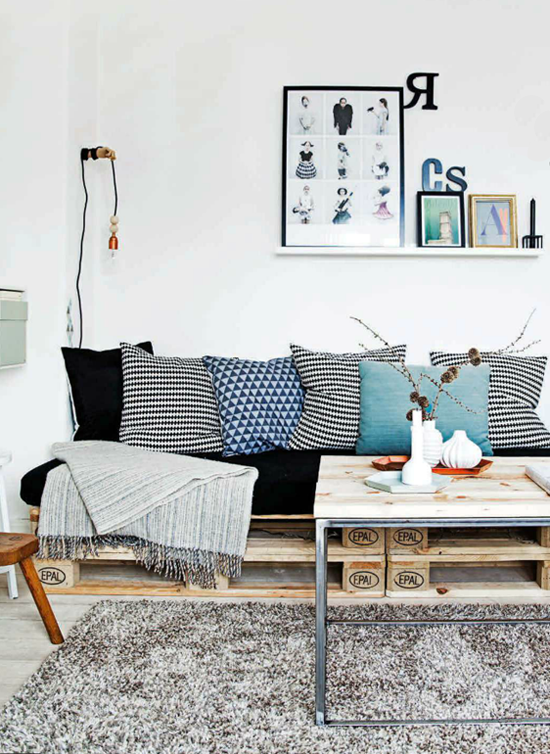 In the image above, we loved the version students, Cecille Seremet and Asger Vester made using fabric cord and large wooden beads in the Real Living November issue. The light is one of those home accessories that just fits in (in so many nooks and corners) in a space. 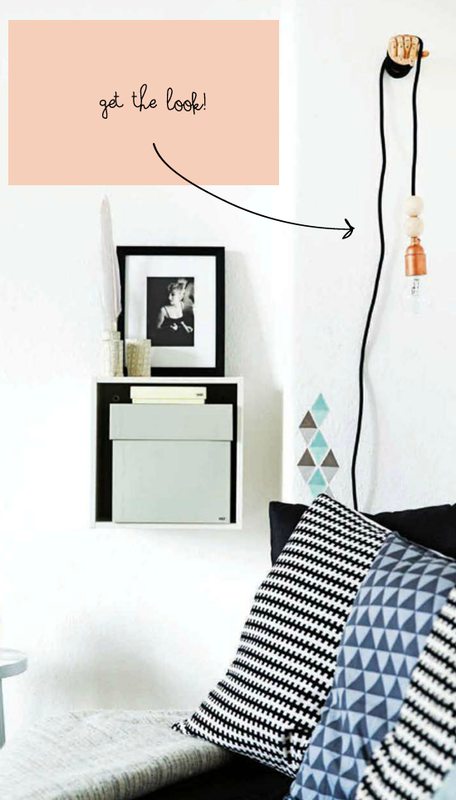 • one hanging pendant light (like this SEKOND version below from IKEA). 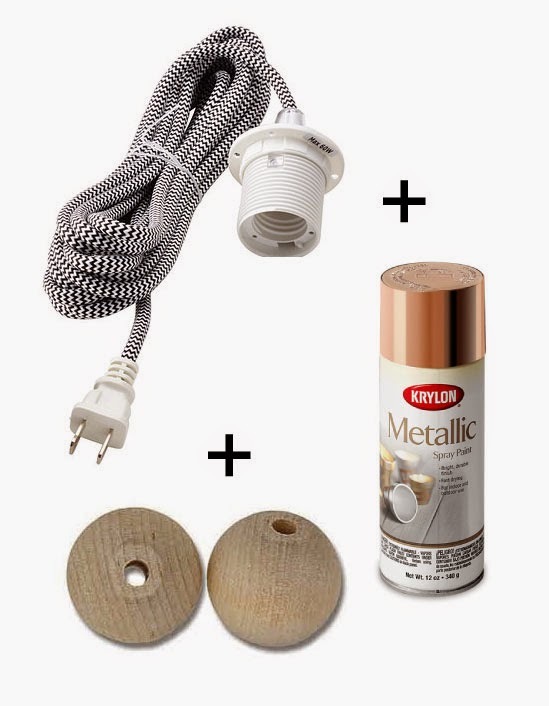 Step 1: To begin, get ready to spray paint the light socket case using a metallic copper spray. First, tape off the cord using painters tape, near the light socket portion and then also at the bottom of the socket (to protect it). Lie down newspaper (or garbage bag) to lay the cord down onto to spray against. Spray the socket copper and let dry. Step 2: With this project, you'll need to cut the cord (to fit the beads through) and then rewire it (a DIY task that shouldn't be taken lightly. If you have a friend who is an electrician, perhaps ask them to help). But if you feel confident in doing this part yourself, here is a link is a good how-to. Once the plug has been cut off, slip the large wooden beads over and down the cord to the light socket. Add two or three beads, or if you want more, add more. Feel free to get creative here. Then rewire the electrical plug. Step 3: To hang, find an interesting accessory to hang it from (like this wooden hand from Hay) but even a budget-friendly EKBY VALTER will do. I just got way to excited about this! Ikea is like an hour away from me & I just went last week...how will I survive until my next visit! I need to make this now!! That's funny! Let us know if you make it! Send pics! Very cool....what makes this work is the use of the oversized beads. and once it is cut off, I don't think it can be rewired. Hey Annie Oakley - cool name!!!! Also what type of ikea light do you have? Brilliant! It's beautiful. I was thinking about doing bulbs like this in my powder room, but luckily I sketched it out first and realized that they looked like creepy eyes hanging in front of my round mirror. Hahaha. Not a good look! I'll have to find a different spot to try this project though...my house needs one! Nice and simple! Interior styling doesn't hurt either. oh yes we see what you mean - yes. This is such a fund idea! I love the bronze color that you added and the hand, although great all year round, is especially perfect during this Halloween season!